The basic connection used in the construction of vehicle bodies is the spot welded connection. On average, there are about 6,000 such connections on the car body. Despite the fact that this type connections have been used at the of vehicle manufacturing stage for many years, it is necessary to control the quality of spot welds in order to achieve high quality, stiffness and durability of the whole car body. There are two groups of methods for assessing the quality of spot welds, which include destructive and non-destructive methods, in particular ultrasonic methods. The article presents se-lected results of ultrasonic inspection of spot welds of vehicle body and verification-using destructive tests. Ultrasound transducer with a water delay line and a frequency of 20 MHz were used. The number of return echoes from the connection area and the RWS parameter were determined. Metallographic examinations of connection area were also made and shear force for connections of different quality (change in welding current intensity) was determined. A. Klimpel, Spawanie zgrzewanie i cięcie metali, WNT, Warszawa (1999). H. Papkala, Zgrzewanie oporowe metali, Wydawnictwo KaBe, Krosno (2003). M. Vural, A. Akkus, The Ultrasonic Testing of the Spot Welded Different Steel Sheets, Journal of Achievements in Materials and Manufacturing Engineering (2006), vol. 18. R. Maev, A. Chertov, W. Regalado, A. Karloff, P. Lichaa, T. Phan, Real Time Ultrasonic System for Resistance Spot Weld Inspection. Integration in Assembly Line, 4th International Candu In-service inspection and NDT in Canada, 18-21 June (2012), Toronto, Canada. M.F.M. Yusof, M.A. Kamaruzaman, M. Zubair, M. Ishak, Detection of defects on weld bead through the wavelet analysis of the acquired arc sound signal, Journal of Mechanical Engineering and Sciences (2016), vol. 10 (2), 2031-2042. A. Sifa, A S. Baskoro, S. Sugeng, B. Badruzzaman, T. Endramawan, Identification of the Thickness of Nugget on Worksheet Spot Welding Using Non Destructive Test (NDT) – Effect of Pressure, IOP Conference Series: Materials Science and Engineering (2018), 306. A. Ambroziak, Z. Koralewicz, M. Korzeniowski, P. Kustroń, Metody kontroli jakości zgrzein punktowych w czasie rzeczywistym, Eksploatacja i Nieza- wodność (2005), 61-66. 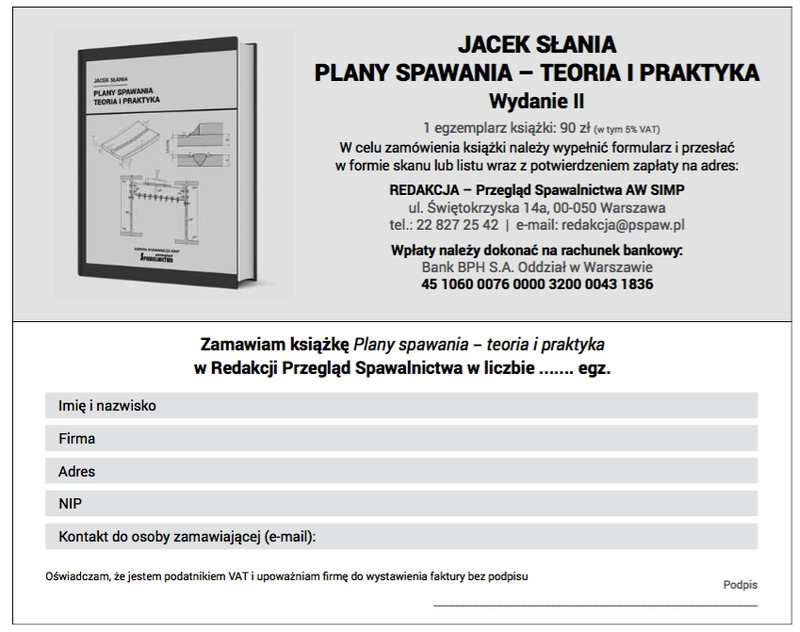 J. Kozaczyński, Z. Mikno, P. Stodolny, System do kontroli jakości połączeń zgrzewanych w oparciu o sieci neuronowe, Przegląd Spawalnictwa (2004), vol.76 5-7, 62-67.
http://www.biomech.pwr.wroc.pl/wp-content/uploads/2016/09/ pd Zaawansowane-metody-ultrad%C5%BAwi%C4%99kowej-kontroli.pdf – dostęp 10.10.2018.